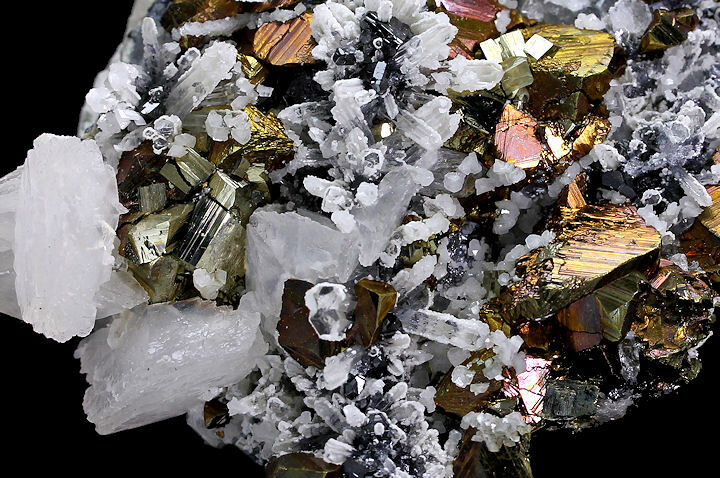 This is a super attractive speciemen of Calcite & Chalcopyrite with Quartz from Bulgaria measuring 10 x 9 x 3 cm. Note the lusterous golden Chalcopyrite crystals. Stunning!